As a detective in the Metropolitan police, Zac is no stranger to murder cases, but this one is different. This is his daughter’s murder. Years after Amelia died, Zac is still trying to trace the police officer involved in his daughter’s death. And whilst Zac is prepared to break every rule to find the man responsible, his young and ambitious deputy, Kat, is working on a high-profile case of her own. But she knows Zac is keeping secrets from his team, so she’s following his every move. When one of Zac’s informants is killed, he knows he’s close to catching his man, but before he can act, he receives a call about his son which blows his world apart.... And this time, he knows he’ll stop at nothing to save his family. 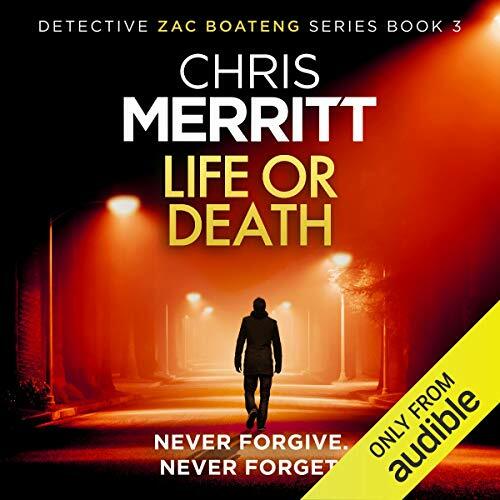 A gripping and addictive crime thriller for fans of Lee Child, Mark Billingham and Mark Dawson, Life or Death is a gripping thriller that will have you listening into the night.